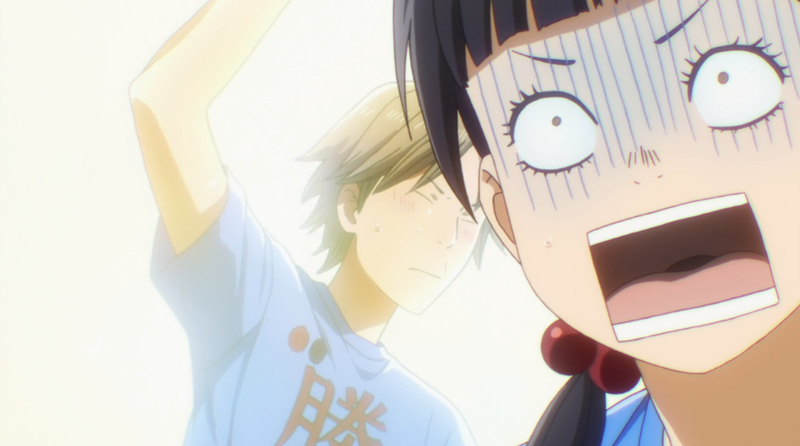 Recap: With Taichi’s match done Chihaya goes to watch the end of Shinobu and Arata’s match. Who will win, the Queen or the potential Master? Man, they easily coulda fit in some Komano action in this episode. Oh well, better just get that off my chest and get on with it. I knew this was going to be another one match-one episode deal, but it was still disappointing to see one shot of Tsukuba, not even Komano, before going straight to the big matchup. At least there was a cute little monologue by Sumire. Obviously you were set up to not exactly love this girl, but even knowing that I think they developed her quite nicely from the first episode. 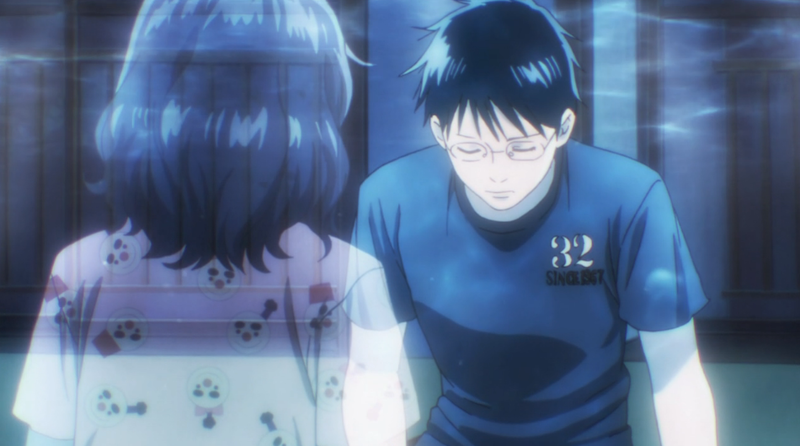 Even with the six card deficit, Chihayafuru pulls out another tense match in the conclusion of the battle between Shinobu and Arata. The karuta on display was crazy, almost the kind of thing you’d think was an embellishment just for how powerful they are. I do like how the show went into detail to explain how Arata’s skills weren’t inherent. He worked at them, constantly idealizing his grandfather. Now he finally has the motivation to come back and realize his old dreams. In the end, all that hard work has paid off. With a win against the Queen under his belt, I do wonder what this means for the rest of the series. Before the story was clearly about Chihaya, and her dream of becoming Queen herself. 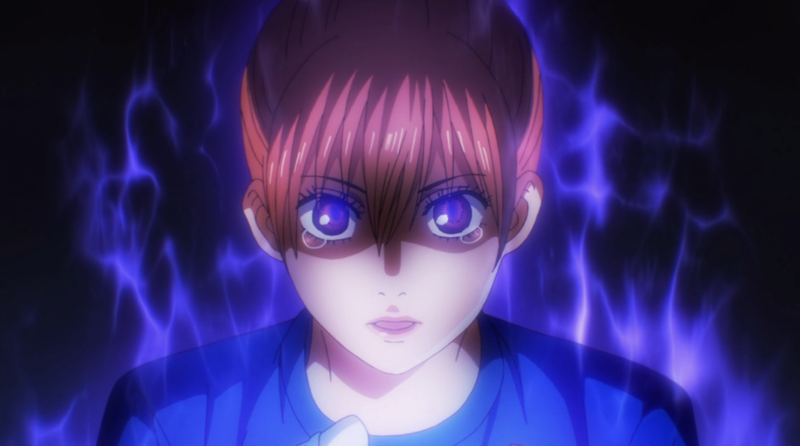 Now with Arata in the picture, and an imposing force at that, will she get sidelined to showcase his rise in the karuta world, or will he remain the barely distant motivator? Considering they’re only a six-man team, Team Mizusawa has really proved themselves in this tournament. What was a rag-tag team built on a handful of talent, they’ve proven themselves to be fast-growing. To have three finalists, possibly even three winners in the individual tournament? It’d be a great note to end the season on. At the same time, it’s a shame we’ll have to see it go. Thankfully, the anime seems to end right around where the inexplicably large hole in translated chapters ends. I know I should probably wait for a third season, but I just can’t wait to see what happens next.